Here’s a selection of photos and videos you may have missed posted on social media accounts from around the UN system over the past few weeks and shared with our social media team. Thank you to all who contributed! What does peace look like? 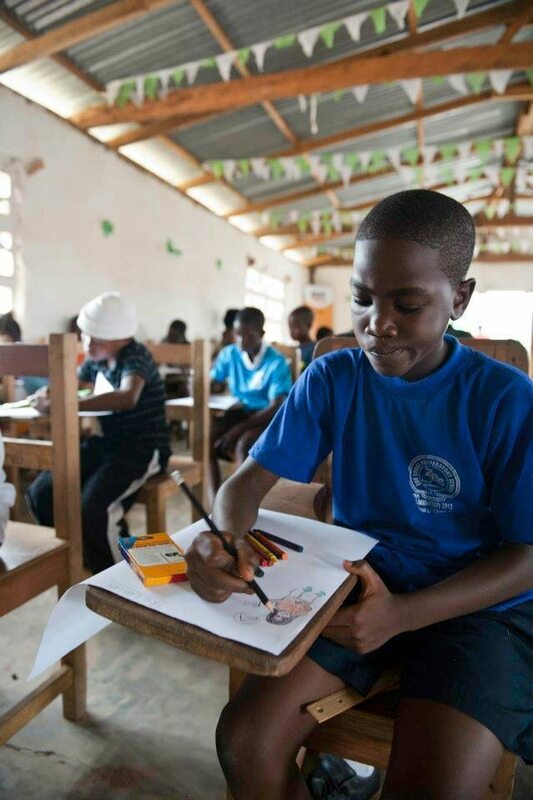 In this photo, children from schools in Liberia draw images of their idea of peace. Thanks to @UNPeacekeeping for posting this and more on their Twitter account. Every now and then, we run across an image that reminds us what the World Food Prograrmme (WFP) stands for. This is one of them. Thanks to @WFP for posting this and more on their Twitter account. This fall, Palestine refugee students go back to school in a region in turmoil. 500,000 Palestine refugees will return to more than 700 the United Nations Relief and Works Agency (UNRWA) schools across the Middle East. Thanks to @UNRWA for posting this and more on their Twitter account. A sea of UN Refugee Agency (UNHCR) tents awaits newly arrived Syrian refugees at a transit center in Iraq. Thanks to staffer Jim Murphy (@jimmurphySF) for posting this photo on his Twitter account. After escaping fighting in Nigeria, refugees receive a friendly welcome in Niger. Thanks to the United Nations Office for the Coordination of Humanitarian Affairs (@OCHA) for posting this and more on their Twitter account. 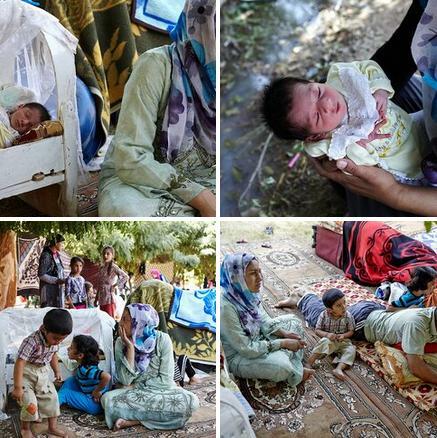 Syrian refugee Peroz and her newborn’s journey to safety. Thanks to the UN Refugee Agency (UNHCR) for posting this and more on their Flickr account. Thanks to Peace Child International for posting this video on their YouTube account. United Nations Mine Action Service (UNMAS) recently conducted a bomb disposal training in Mali. Thanks to @UNMAS for posting this and more on their Twitter account. UNICEF Goodwill ambassador and tennis superstar Novak Djokovic (@DjokerNole) was on hand when the UN General Assembly voted to create the International Day of Sport for Development and Peace. Thanks to the Novak Foundation (‏@novakfoundation) for posting this and more on their Twitter account. Found on the grounds of the UN Office at Geneva (@unisgeneva): honeybees “for a sweeter world.” Thanks to UNHCR staffer Alexandra Eurdolian ‏(@AlexandraKE) for posting this photo on her Twitter account. On a recent visit home to the Republic of Korea, Secretary General Ban Ki-moon met with his mother outside the rebuilt house where he spent his childhood in Chungju. Thanks to the Office of the Spokesperson for United Nations Secretary-General (@UN_Spokesperson) for posting this and more on their Twitter account. In Hargeisa, Somaliland, the United Nations Industrial Development Organization (@UNIDO) recently posted these photos of student taking ther final exams in Sewing and Tailoring. Thanks to UNIDO’s Sean Paterson ‏(@DSeanPaterson) for posting this photo on his Twitter account. PreviousAmbassador John Ashe of Antigua and Barbuda: Setting the Stage!